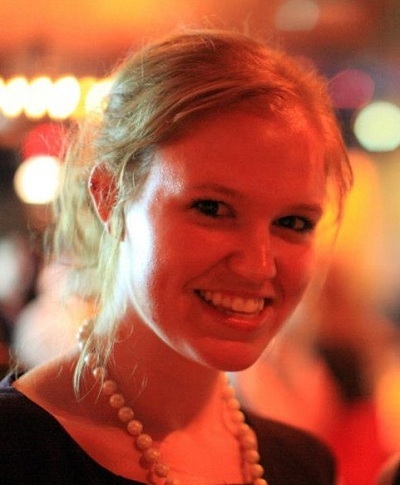 Morgan M. Davis is a capital markets reporter for GlobalCapital Asia, a Euromoney publication, based in Hong Kong. Morgan has previously worked as an asset management reporter at FundFire, a Financial Times website, and as associate editor for Nexchange, a financial social media startup. She is available for freelance commissions. Prior to moving to Hong Kong with her beloved rescue dog Gizmo, Morgan lived in New York City for four years, where she received her Master’s degree from the Columbia University Graduate School of Journalism. She also lived in Washington, D.C. for six years, both as a student at The George Washington University, where she racked up a resume full of journalism-related internships, and as an employee at the Peace Corps headquarters, where she helped assess and place volunteers in programs overseas. A native of Springfield, Illinois, the Land of Lincoln, Morgan is the proud sister of five younger (but certainly not little) brothers. The six of them, plus their family dogs Nala and Autumn, enjoy bonding over the St. Louis Cardinals, Harry Potter and incredibly competitive games of Ticket to Ride. When possible, Morgan fits in a road race, and is training for her sixth half-marathon this year at Angkor Wat. At Columbia, Morgan added her middle initial “M.” to her byline to distinguish her from her grandfather, another very cool Morgan Davis from Springfield, Ill.